Scratchy, the cat I live with has really been full of mischief lately and I was about to post more of the mischief he’s been pulling. But I had to change things around. You see, over the weekend my younger person’s friend came over and he was so full of mischief that he deserves star billing. 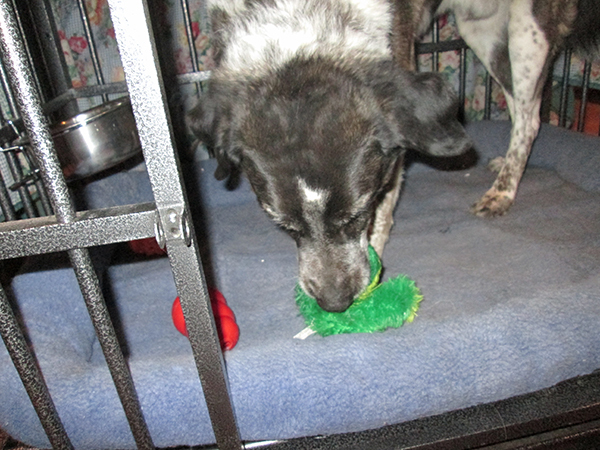 He locked my frog in dog jail – and then to make it even worse, he locked himself in there with the frog. But no one can hold mischief over me for long. Poor frog. Did they hurt you? 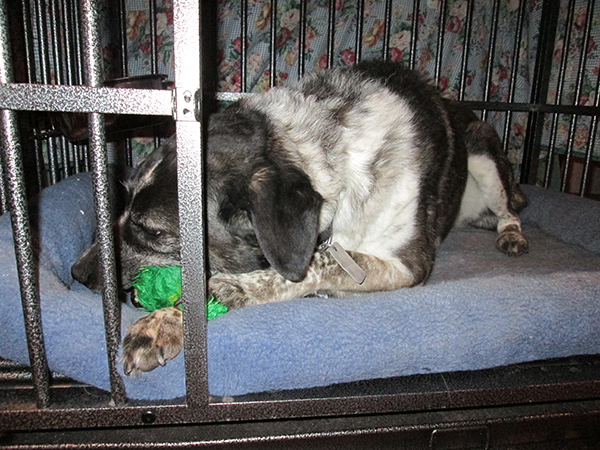 I’d better remove my frog from dog jail. Nobody’s locking up my frog again. Good Job Bongo… and I dunno.. Scratchy seemed to be just hanging out letting them keep your frog from you. Maybe you need to give him a what for for not helping you. Kimberly, what’s even worse is that Scratchy was hanging out on my old dog bed. He’s stolen it. Bongo, you are one smart dog! Thanks FleaByte. I always get my man frog. Marina, my frog was very happy to be rescued by me. I don’t think he liked it in dog frog jail. 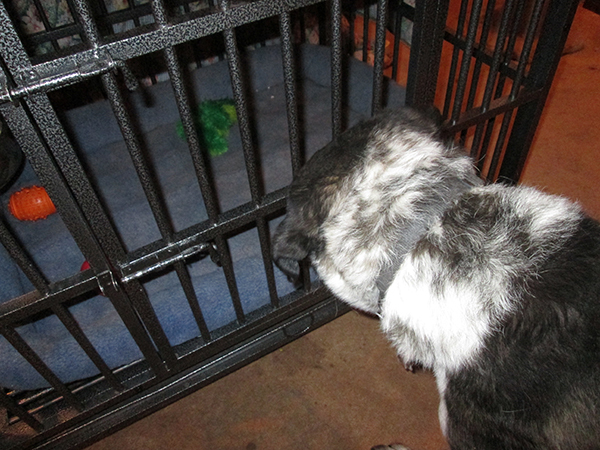 I think that friend was a meanie to commandeer your dog jail and tease you with your froggie. You were very persistent and courageous to manage the rescue. I could hear the froggie calling out to you for help. Cupcake, I might have to get my younger person to invite some nicer friends over. 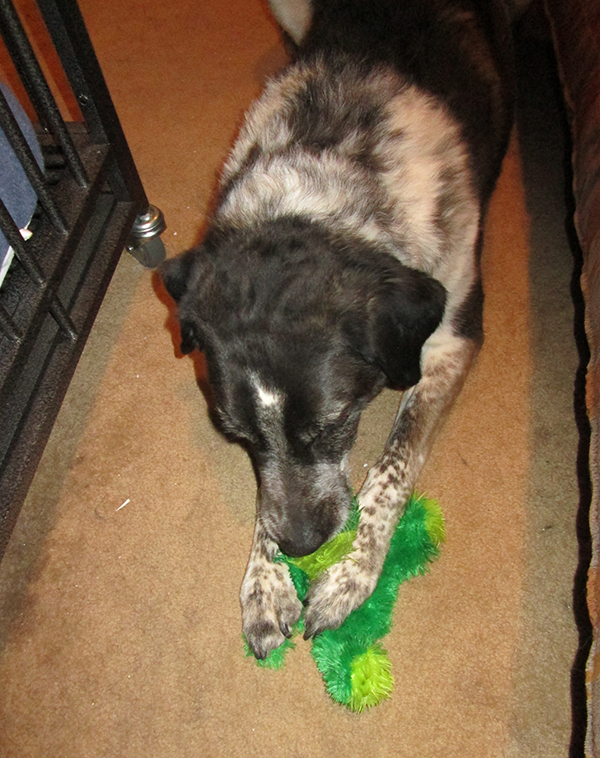 Friends that give me loves, and treats, and walks, and things – and don’t try to steal my frog. Yeah what did the poor frog ever do. I hope he didn’t ‘croak’. Diane and Lola, my frog for sure would have croaked if I hadn’t rescued him when I did. What a mean trick! You were very patient. Kari, sometimes it’s so hard to be patient around here – but I do my best. Nice rescue, I admire your determination! Thanks Will and Eko. I don’t give up easily. Lily and Edward, I tried to hide my frog out in the yard – but my person made me drop him before she’d open the door. FireBonnet, you just gave me an idea. I think I’ll take my younger person’s friend for a walk to where those stone boys are. He might not give me any trouble ever again. I think you should have locked that boy in the jail forever. Tell him not to be mean to you again – typist was packing her bags and on her way to sort him out!! Dalton, he for sure needs sorting out. I’m just worried that if I lock him in jail forever my person will make me give him some of my treats. You don’t get treats in jail if your in there for bad behaviour! Kevin, I may have to set some kind of trap for my younger person’s friend next time he comes over. But I’ll make sure my frog is out of the way first.